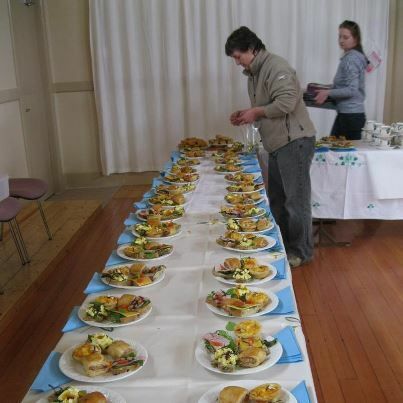 In line with the aims and objectives of the Ballynagran Energy Plus Community Project the Food Committee was set up by local people with an interest in developing a strategy towards achieving these aims. The cornerstone of the strategy is the farmers market which runs every Saturday at present. The market is vital to the Ballynagran food strategy; it will serve as a hub for social interaction and trade in the community an offer of venue for local people to engage in entrepreneurship and commerce. The market is in a central location between an accessible to most major urban areas in East County Wicklow being situated on the M/N11 corridor, with 22,000 vehicles passing daily along the carriageway. 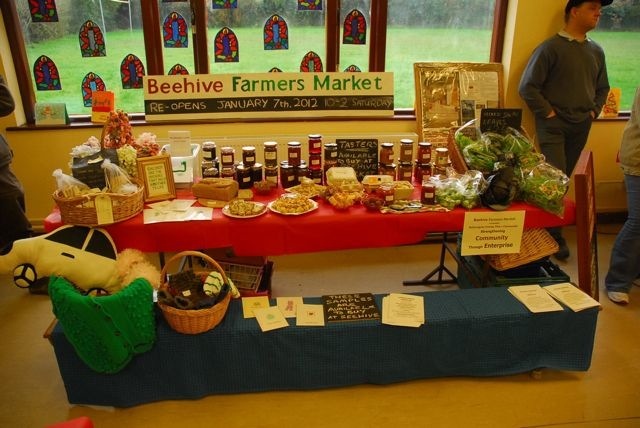 The market provides an amenity to the people of Wicklow and an ideal location to showcase local artisan producers. It offers a number of options to budding entrepreneurs from very competitively priced stalls to a local artisan producers stall that facilitates micro-producers with the option of selling their produce on a commission basis, in line with the country market model. A farmers market in the area is a key to developing local business and trade. It offers to producer the opportunity to trade and develop their own branded produce, which is crucial to establishing a business in the marketplace. It is hoped that each producer can eventually grow into trading on their own stall. This is a stepping stone to business growth. It is planned to offer local schools the opportunity to sell produce at the market. It is an ideal facility for a transition year students, who currently undertake a business module in their studies. They can gain experience by selling their produce directly to the public; they would be facilitated free of charge and fully insured. If you wish to get involved in the food group please contact us at ballynagran.energyplus@gmail.com or attend one of the public meetings announced on the Public Events/ Meeting sections of this website. Better still if you would like to participate in any way in the Farmers Market please join the Local Food Group.